(2 Customer Reviews) | Write Review 12 issues per year Over 15 great gardening guides every month! Indispensable reading for all vegetable, fruit and herb growers. 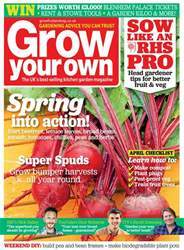 Looking for Grow Your Own in print? 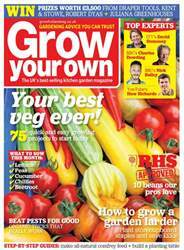 Unfortunately pocketmags.com does not sell print copies of Grow Your Own, but all is not lost. Our partner at magazine.co.uk sells print subscriptions at the best prices online. Over 15 great gardening guides every month! Indispensable reading for all vegetable, fruit and herb growers. 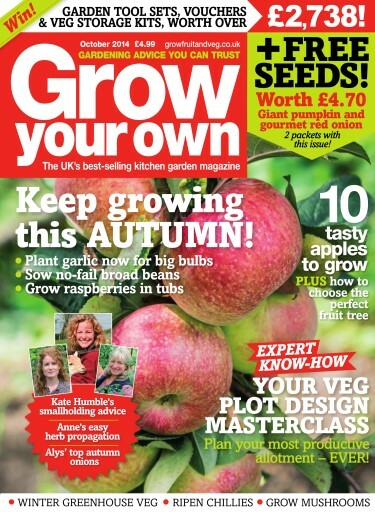 You'll receive 12 issues during a 1 year Grow Your Own magazine subscription. Grow Your Own is fantastic. Gives lots of tips on what to grow and when, and have found lots of tricks to improve my crop yields. I've been a subscriber for a number of years and love the info this gives. It covers everything I ever need to know to help me at the allotment! 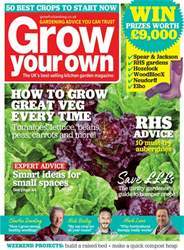 You'll receive 12 issues during a 1 year Grow Your Own magazine print subscription.